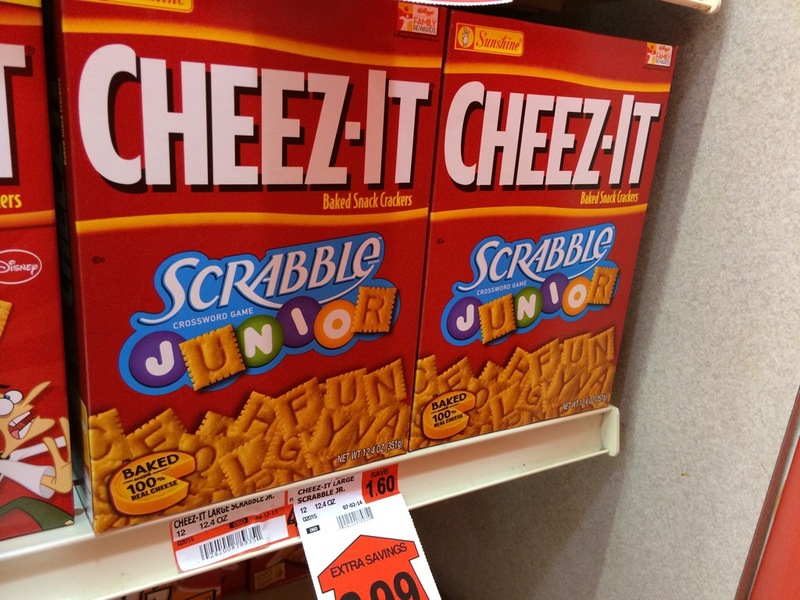 These are my kind of Cheez-Its. While not something I would buy on a regular basis, a recent trip down the grocery aisle caused me to stop and appreciate the king of the orange cracker market. I LOVE, LOVE Scrabble. Unfortunately, after beating all my friends at Words with Friends, I can’t find anyone who will still play with me. And no, I didn’t need a cheat app to win. This would totally make me play with my food. I’d probably create a game where I would make words and eat the words. Hoping I could use all the crackers from the handful. For all the other kids of the ’80s out there – does Campbell’s still make vegetable soup with letter noodles?